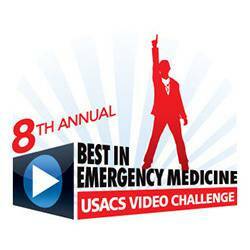 Voting for USACS' 8th Annual Best in Acute Care Video Challenge is now open! Cast your vote now through Monday, January 30, 2017. You can vote daily for your favorite video, so come back often. Be sure to share your favorite video’s voting page on social media. USACS' Video Challenge was created to give acute care residents the chance to document why their residency program is the best in the country. The first place video creator receives $5,000; their residency program receives $10,000. The second place video creator receives $2,500; their residency program receives $5,000. The third place video creator receives $1,000; their residency program receives $2,500. Learn more about the 2016 edition of the video contest. Good luck to all residency programs!